"Quick and tasty. Great for the summer barbeque." Toss okra with olive oil, paprika, garlic powder, salt, pepper, and cayenne pepper in a bowl. Grill okra on the preheated grill until 1 side is bright green with visible grill marks, about 5 minutes. Turn okra, cover grill, and cook until tender, about 5 minutes. 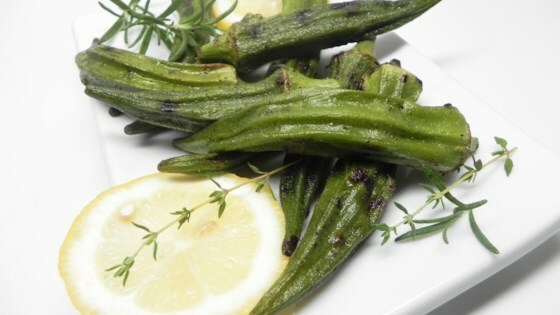 Transfer okra to a serving bowl; sprinkle with lemon juice, rosemary, and thyme. The versatile fava is simple to prep and addictively tasty!